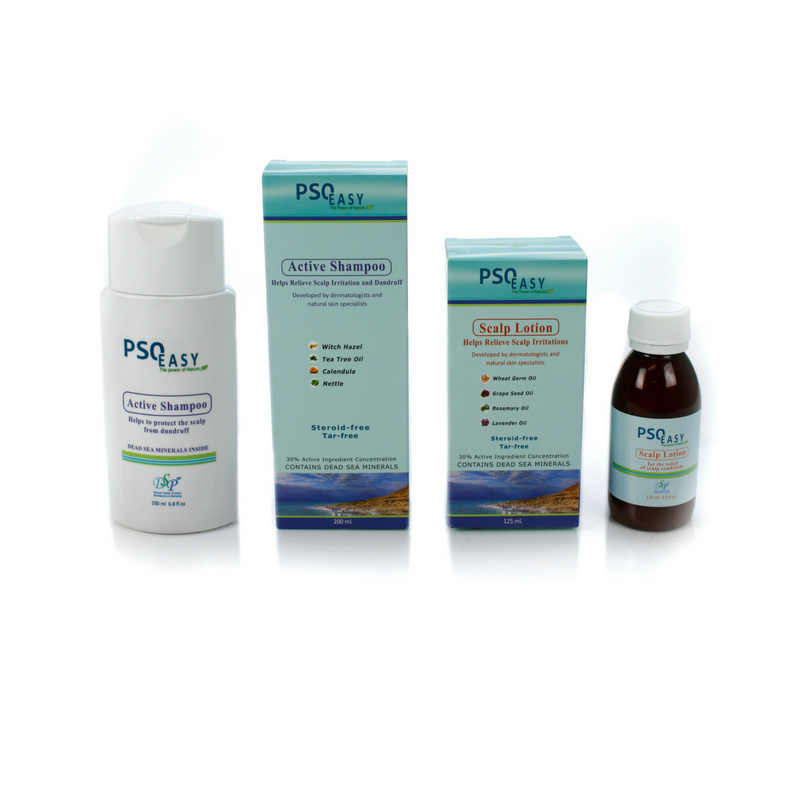 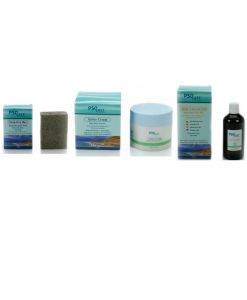 The Shampoo & Scalp Psoriasis Treatment Kit is a complete treatment for scalp diseases. 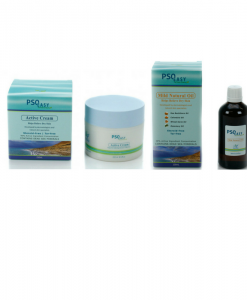 Daily use of shampoo helps to cleanse your scalp, eliminate most of the excess layers of skin and remove the bacteria that have accumulated on the scalp. 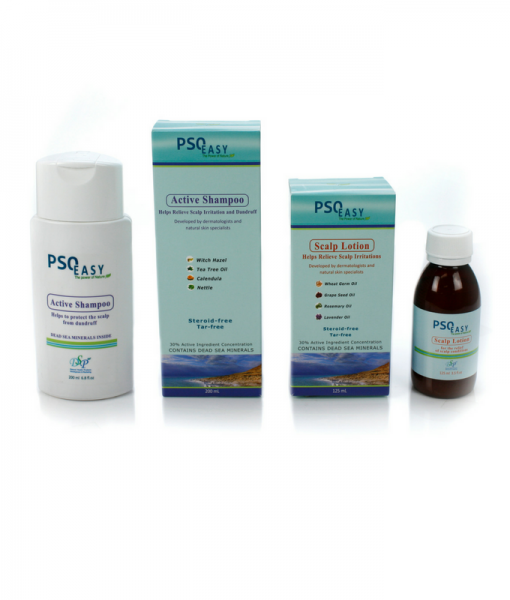 In case of hair loss and thick, crusted scaly patches/sores on the scalp area it is recommended to use the PsoEasy Scalp Lotion as an additional scalp psoriasis treatment. 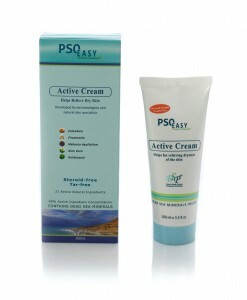 The lotion is designed for scalp hygiene, irritation and dandruff. 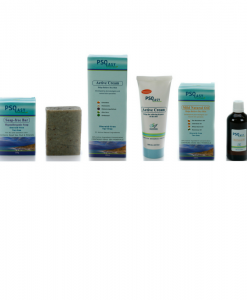 With this kit you save $9.90 compared to buying all the products separately. 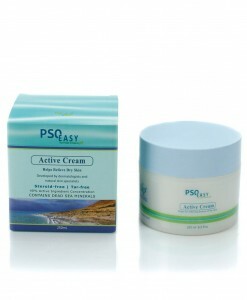 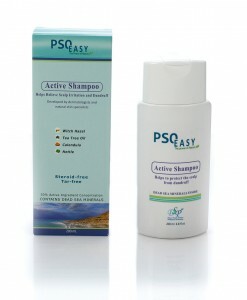 Wet your hair and scalp, then apply PsoEasy Active Shampoo. 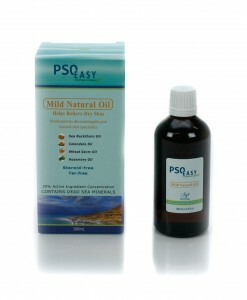 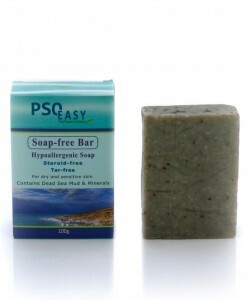 Lather for 1-2 minutes, massaging into scalp, then rinse thoroughly. 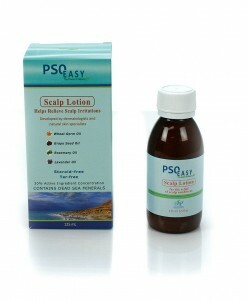 Leave Scalp lotion on scalp – do not rinse.